WELCOME TO CHER CAR KENNELS! 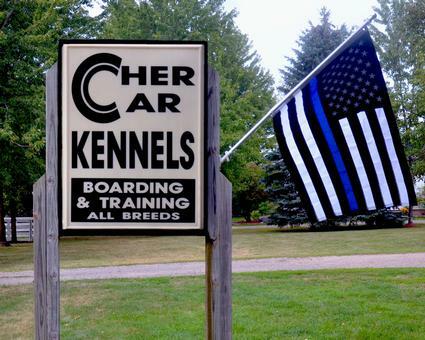 Cher Car Kennels in St. Johns, Michigan has been breeding and training dogs for lives of significance and service since 1977. Our breeding program specializes in German Shepherds, Dutch Shepherds and Belgian Malinois and strives to produce the naturally protective and loving family dog you remember from childhood. Our success is attributed to knowledge gained through years of experience. We select our breedings to emphasize physical soundness, intelligence and temperament, and we carefully match each individual puppy to its new family based on your stated activity needs and desires. We only utilize x-ray cleared dogs (hips and elbows) in our breeding program, with OFA certification obtained at the appropriate age. We treat our dogs like athletes; feeding the finest natural foods to produce maximum healthy growth and proper nutrition. Our feeding regimen consists of a mix of organic dog food comprised of human-grade ingredients without dyes, additives or synthetic preservatives combined with poultry, beef or venison. Our 20 acre country farm with boarding kennel facility provides the perfect setting for active socialization of our puppies by exposing them to farm animals (goats, horses, sheep) along with other dogs, boarding and training clients, and lots of friends…ensuring a well rounded development. 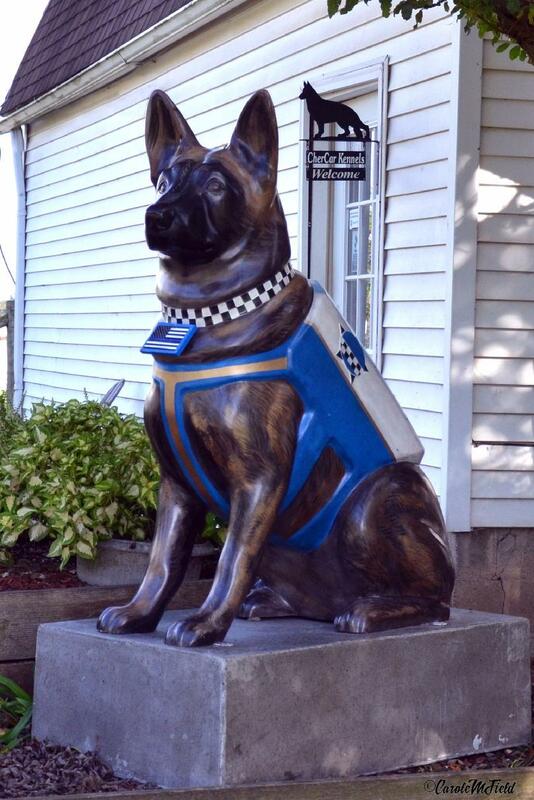 Although many of our dogs have been involved in formal service such as Search & Rescue, Police K-9 Service, Competitive Dogsports, Conformation, Personal Protection, Therapy and Handicap Assistance, Theatrical Productions, Television and Film; the vast majority of our dogs have served as loving and loyal family pets and protectors. We offer an extensive variety of dog training programs to assist your puppy in growing and learning in a safe, stimulating and fun environment. Cher Car Kennels specializes in ALL breed training for the family pet, along with advanced training for sport, protection and police. 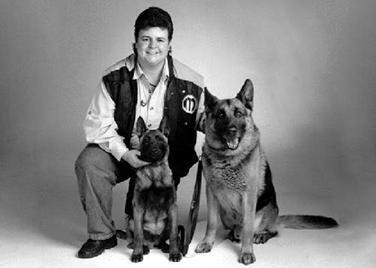 Founder Cheryl Carlson (one of the best known experts in the industry) has been training and breeding dogs professionally since 1977; providing guard dog service, teaching family companion dogs (manners, problem solving and behavior modification), training alert/assistance dogs, personal protection dogs and Police K-9s. Cheryl has personally trained and certified more than 100 Police Service K-9's to date (many of her own breeding), with teams qualified in patrol, narcotics, explosives and accelerant detection. She has also trained and certified many other dog trainers in police work (narcotics detection training and police K-9 decoy training). The Car Kennels breeding program has produced more than 350 dogs (German, Belgian and Dutch Shepherds) that have gone on to certify as Police, Sheriff and Government Department K-9s (US Department of Defense, US Department of State, US Department of Homeland Security, US Drug Enforcement Administration, USAF Security Forces). In addition, more than 100 dogs have certified in Search and Rescue applications (wilderness, disaster, cadaver, avalanche and drowning rescue or recovery) along with dozens of privately owned service dogs providing mobility, alert, emotional or physical assistance in a variety of forms, such as Brace and Mobility (BMSD) dogs, Post-Traumatic Stress Disorder (PTSD) service dogs, Autism Spectrum Disorder (ASD) service Dogs, Medical Alert service dogs, Emotional Assistance (EA) service dogs and Listening Ear (hearing alert) dogs. Cheryl Carlson’s knowledge is frequently utilized throughout the Midwest by Federal and District courts, where she is called upon to provide expert witness testimony in regards to training of police dogs, dog attacks, and dog behavior. Cheryl first received qualified expert status by the court in 1985, and has even testified before a senate subcommittee regarding dog behavior. She is also a certified E.M.S. (Emergency Medical Services) instructor in the field of Environmental Emergencies (Dog Bite/Dog Attack). Cheryl has rehabilitated and placed countless rescue dogs and conducted hundreds of Dog Safety Awareness and Bite Prevention Training seminars throughout the country. Cheryl is a paid consultant teaching Dog Bite Prevention techniques to various organizations including the United States Postal Service, DTE Energy, Consumer’s Energy, Arizona Public Service, Unibar Damage Prevention Group, GTE, Louisiana Gas & Electric, Duke Energy, Accu-Read Services, AT&T, Michigan Consolidated Gas Company, Cinergy, United Parcel Service, Delmarva Power, Olameter Corporation, Kentucky Utilities, the Visiting Nurses Association and many more. Cheryl also enjoys competition with her own dogs, and has titled in conformation, obedience, agility, rally obedience, herding, terrier racing, nosework, barn hunt, lure coursing, dock jumping, Schutzhund, French Ring Sport, Campagne and UKC Dog Sport. She has judged countless personal protection trials throughout the United States and Canada, is the ONLY woman in North America to EVER receive certification as a Campagne decoy (a French sport consisting of bitework, agility, obedience and tracking), and was one of the founders and former President of NARA (North American Ring Association). Cheryl was the first woman licensed as a United Kennel Club Service Dog Trial Judge for ALL classes of Dog Sports, allowing her to officiate at Police Dog I and Police Dog II trials, as well as all other levels of certification offered by the UKC Dog Sport program. She was additionally qualified to select and certify helpers/decoys for the program, and her license has now been expanded to include UKC Nosework (a scent work sport utilizing the dog's keen sense of smell and natural desire to hunt). Cheryl is truly unique among trainers for her vast knowledge, years of experience and unmatched expertise in every area of dog training. Business partner Lori Webster also has a long history of service to the world of dogs which began with raising puppies for Leader Dogs for the Blind when she was 9 years old. She has been an award winning trainer and high-in-trial competitor since 1999 participating in obedience, agility, weight pull, rally obedience, conformation, nosework, dock jumping, barn hunt, French Ring Sport, UKC Dog Sport and personal protection. She is an accomplished decoy of national notoriety, and was the first woman certified as a United Kennel Club Trial decoy for all levels of Dog Sport. Lori is certified in numerous other venues to provide expert training for biting dog sports. Business partner Carole Field is a Dog World Award winning trainer and high-in-trial competitor; involved in obedience and protection sports since 1982, and conducting dog obedience instruction in a private, group and club format since 1985. Carole has titled her own dogs in conformation, obedience, agility, rally obedience, nosework, terrier racing, lure coursing, barn hunt, dock jumping, K9 Pro Sports, Schutzhund, French Ring Sport and UKC Dog Sport. She has judged personal protection tournaments throughout the Midwest since 1995 and is a UKC Performance Judge licensed for Family Obedience, Dog Sport (all classes of Protection and Police Dog titles), Nosework (a detection sport showcasing the dog's sense of smell and natural desire to hunt) and Terrier Racing (with Senior Judge classification). Our combined 62 years of training programs have graduated over 19,250 dogs from our facilities to date! We specialize in preventing dog behavior problems by educating dog owners through personalized private home visits, group classes or in-kennel "boarding school" training, using positive, praising methods of dog obedience instruction. We provide the knowledge, understanding and expertise necessary to teach your dog "good behavior" rather than simply punishing what you might perceive as "bad behavior". The overall well-being of the dog is then achieved through a special balance of loving attention, exercise and a sense of purpose derived through training. 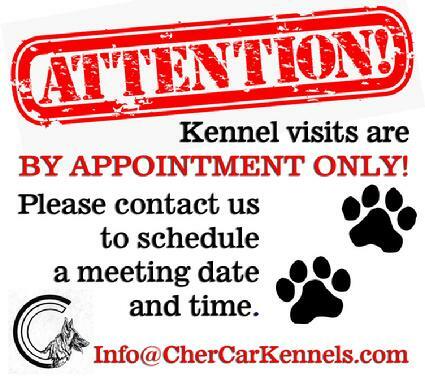 Cheryl Carlson and Cher Car Kennels have also been awarded special recognition repeatedly for service to our customers and community, and we have achieved high industry benchmarks for product quality and ethical business practices. Our philosophy of offering the very best breeding and training possible works to ensure each puppy buyer is happy with their Cher Car Kennels dog, and for it to be a loved member of the family for its lifetime. We hope our website will let you get to know us, our values and our facilities. We have AVAILABILITY for boarding. Visit our DOG BOARDING page to make a reservation. Group OBEDIENCE classes will begin at 6:30pm on May 3, 2019. Group PROTECTION classes will begin on the same date 7:30pm. Visit DOG TRAINING PAGE to register and download training application form. Kevlar x Nyx litter born March 14, 2019. Visit our GERMAN SHEPHERD PUPPIES page. Grimm x Sage litter born March 30, 2019. Visit our GERMAN SHEPHERD PUPPIES page. Apollo x Jasmine litter born April 2, 2019. Visit our GERMAN SHEPHERD PUPPIES page. Django x Xis due on or around June 19, 2019. Visit our DUTCH SHEPHERD PUPPIES page. Our Dutchies have consistently ranked in the United Kennel Club TOP 10 Breed Standings since 2006 (the first year multiple Dutch Shepherd dogs began appearing in the Top 10). The UKC is the kennel club of registry for the Dutch Shepherd here in the United States since 1995 as they are not eligible for AKC registration. The UKC Top 10 Dutch Shepherd Producers List substantiates the quality and depth of our breeding program by revealing our dogs’ rankings based on UKC titles earned by their offspring. Note also how many of our dogs have been recognized as ROM (Register of Merit) producers by the Dutch Shepherd Dog Club of America. 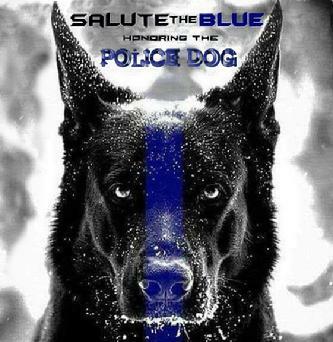 Our Dutch Shepherds Earn their STRIPES!® as working dogs; whether they be outstanding family companions and guardians, high in trial competition dogs, physical assistance or PTSD dogs, search and rescue dogs or police service dogs. Please visit our Dutch Shepherd page for additional information. Also visit the Dutch Shepherd Dog Club of America website at www.DSDCA.org or on Facebook using the link below. Cher Car Kennels embraces the United Kennel Club “Total Dog” philosophy which promotes the working aspect of the pure bred dog, and we strive to produce dogs that look AND perform equally well. OUR DOGS DO STUFF®. We produce dogs that enjoy protection sports, obedience, nosework, agility, rally, dock jumping, terrier racing, lure coursing, flyball, barn hunt, weight pull AND compete in the show ring. We have bred numerous dogs working in search & rescue, as service assistance dogs, alert dogs, detection dogs, tracking dogs, multi-purpose Police K-9s, etc. To use a small portion of what our Cher Car Kennels bred dogs enjoy as an indicator of your future puppy's potential, click here. We produce dogs that excel in multiple venues, many from multi-aspect titled parents. Our dogs show confident appropriate character and make very loving family members. Cheryl Carlson has been conducting "Dog Safety Awareness and Bite Prevention Training" seminars since 1979, and is a paid consultant in this matter to numerous major employers such as the United States Postal Service (USPS), General Telephone and Electronics (GTE), Accu-Read Services, Arizona Public Service (APS), Cinergy, Consumers Energy, Delmarva Power, DTE Energy, Duke Energy, Family Independence Agency (FIA), Lansing Board of Water and Light, Olameter Corporation, Unibar Damage Prevention Group, United Parcel Service of America (UPS), Visiting Nurse Association of America (VNAA), and many more. See our DOG BITE PREVENTION page for additional information. Gives all decoys a base of knowledge. Extensive use of slow motion. Actual French Ring trial footage is dissected and diagramed. Click on calendar event to view details. We are a Better Business Bureau Accredited Business with an A+ Rating. Click to see our BBB Review. Click to view listing of some of our OFA Certified dogs. We are proud of our affiliation with the United Kennel Club. Established in 1898, the United Kennel Club is the largest all-breed performance-dog registry in the world, registering dogs from all 50 states and 25 foreign countries. This registry supports the “Total Dog” philosophy which promotes the working aspect of the pure bred dog, and designs its events for dogs that look AND perform equally well. UKC dog shows are family events designed by and for the breeder-owner-handler, and ban the use of “Professional Handlers” exhibiting dogs for others at conformation events. At UKC dog shows, the emphasis is on the DOG, not the SHOW. To learn more about the United Kennel Club, simply click on the blue UKC logo to the left to be redirected to the UKC website.